SMTown Museum, a new cultural exhibition space launched by K-pop powerhouse S.M. Entertainment, will open at SMTown Coex Artium in Gangnam, southern Seoul, Friday. 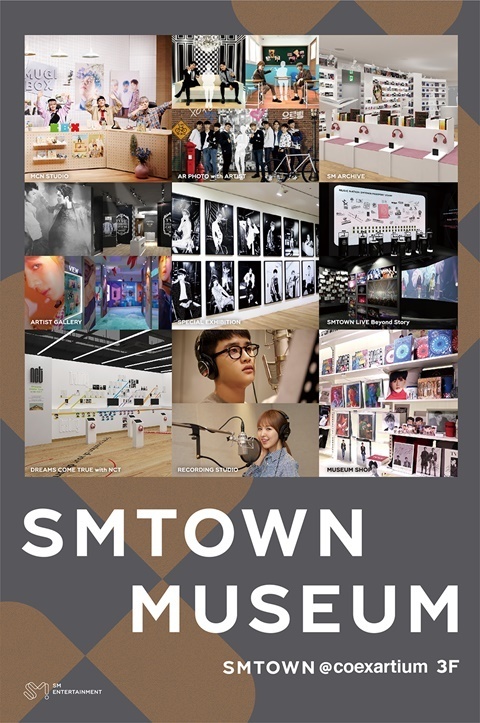 According to the agency Wednesday, SMTown Museum will be on the third floor of SMTown Coex Artium, a compound featuring content related to S.M. musicians. Among the facilities in the new space are “S.M. Archive,” where visitors can enjoy S.M. artists’ albums, photo shoots, music and videos; “Special Exhibition,” an exhibition of the artists; “Artist Gallery,” a collection of the artists’ stage outfits and props; “SMTown Live Beyond Story,” which showcases backstage scenes of the artists performing at SMTown Live, the agency’s signature concert series; and “Dreams Come True with NCT,” where fans can see the production processes of S.M. artists including NCT. The tech-savvy space also embraces virtual and augmented reality. Visitors can take photos and videos with virtual artists through the “AR Photo with Artist” and use the smart karaoke application “everything” to virtually sing at studios used by artists. This marks the first time for a local K-pop agency to gather its artists’ history and showcase them through exhibitions and facilities, the agency said. S.M. Entertainment was the first major K-pop agency to use an offline site to connect K-pop stars and fans, opening SMTown Coex Artium near Samseong Station in January 2015. Noted as a must-visit site for K-pop pilgrims, Coex Artium features souvenir shops where visitors can purchase T-shirts, hats and other licensed products along with autographed photos. There is also a cafe that offers celebrity-themed snacks and drinks, as well as the SMTown Theater where hologram performances are regularly put on. The building is open throughout the year. Tickets for SMTown Museum can be purchased online at ticket.yes24.com and will be available at the venue from Friday.